В теме 0 ответов, и 1 участник, последнее обновление сделано пользователем HiQo Solutions 3 г, 3 мес. назад. Do you want to be a part of a dynamic team that will challenge your analytical, problem-solving and communication skills? Are you interested in working in the company with qualified team members and state-of-the-art processes paired with experienced management? 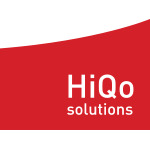 We enlarge our BA’s team and this is a fantastic opportunity to join HiQo Solutions as a Junior Business Analyst! experience in creating user guides. create and maintain project documentation (including the audit of documentation already written by clients). and above all – friendly and committed team of colleagues! We are ready to consider CVs only in the English language!